Do you have Inflammatory Bowel Disease and are wondering what you should or shouldn’t eat? Home / Articles / Do you have Inflammatory Bowel Disease and are wondering what you should or shouldn’t eat? 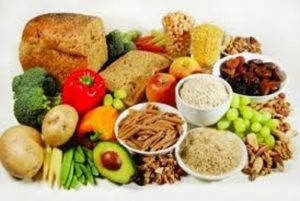 Dietary fiber found in plant foods, such as fruits, vegetables, nuts and grains is important for digestion, but during IBD flares or strictures can cause worsening symptoms. Soluble fiber may help reduce diarrhea, examples include potatoes, sweet potatoes, broccoli, artichokes, asparagus, carrots, and oat/oat bran. Limit insoluble fiber, such as seeds, nuts, wheat bran, green leafy vegetables, and beans. Lactose, the sugar found in milk and milk products. Many people with IBD may be lactose intolerant. High fat foods, such as butter, margarine, and cream. Sugar alcohols, such as sorbitol and mannitol, often found in sugar free gum, candy, ice cream, juice, and certain fruits such as pears, apples, peaches, and prunes. Eat lean sources of protein, fish, chicken, eggs, or tofu, and smooth nut butters to get in enough protein. Grains such as oatmeal, potato, sourdough and French bread or easier to tolerate. 45 is the new 50!